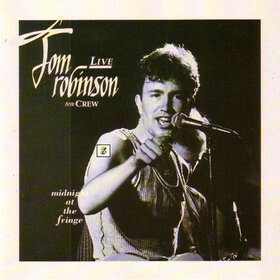 This is a Tom Robinson live album that's surfaced both as "Last Tango" and "Midnight At The Fringe" over the years. It features original 1983 recordings from the Edinburgh Fringe. Besides Robinsons´s original material the album also features a interpretation of "Surabaya Johnny" (Brecht/Weill). It was later reissued with some bonus tracks as "Last Tango: Midnight At The Fringe".